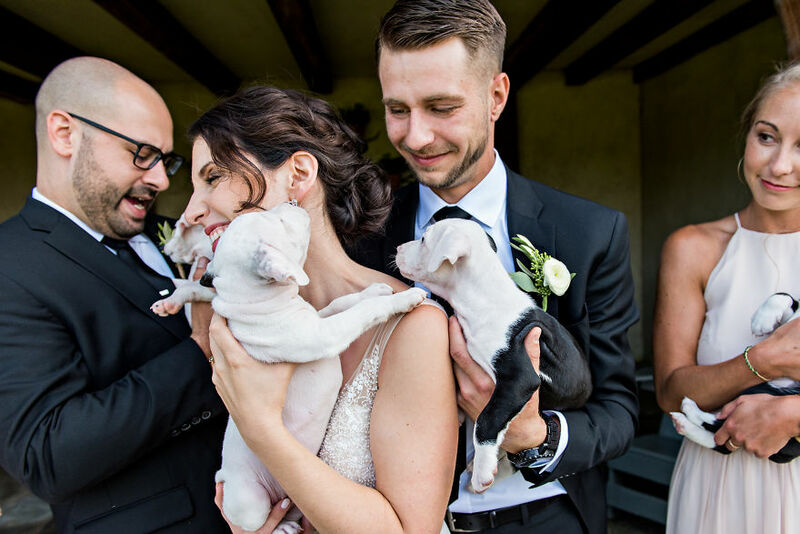 They first started fostering just two puppies from the litter named Penny and Patch. 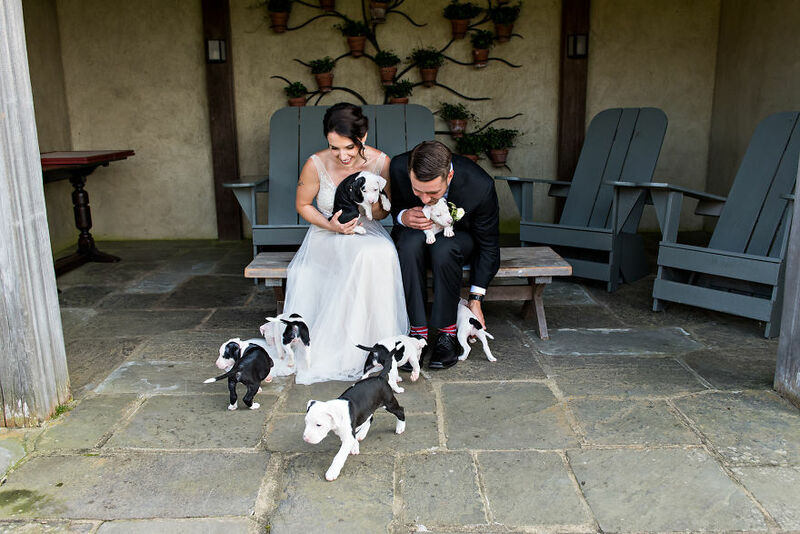 The puppies were so new that they couldn’t stay home alone. 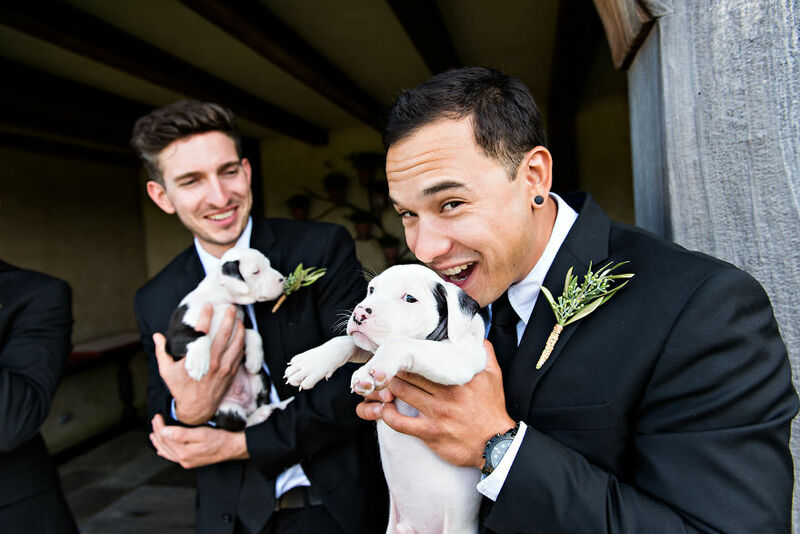 Becky and John had to make a day trip to Cabelas to get some supplies for their honeymoon so the puppies joined along on their trip, snuggled up inside of a diaper bag in the shopping cart and having bottles in the car ride. Soon after they started fostering 3 more puppies from the litter, Roley, Lucky, and Freckles. 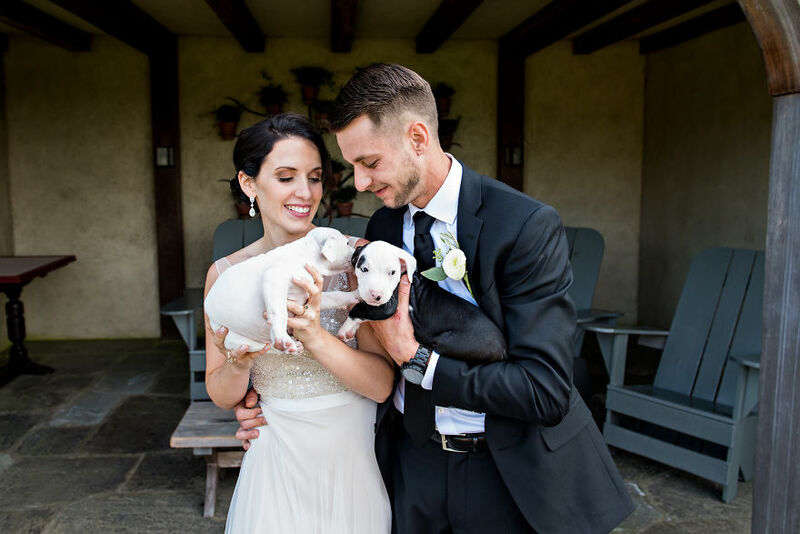 When Becky and John were switching the pups from milk to dog food, they got so covered in the food they would have to give them all baths every time they ate, multiple times a day. “It was mayhem,” says Becky. 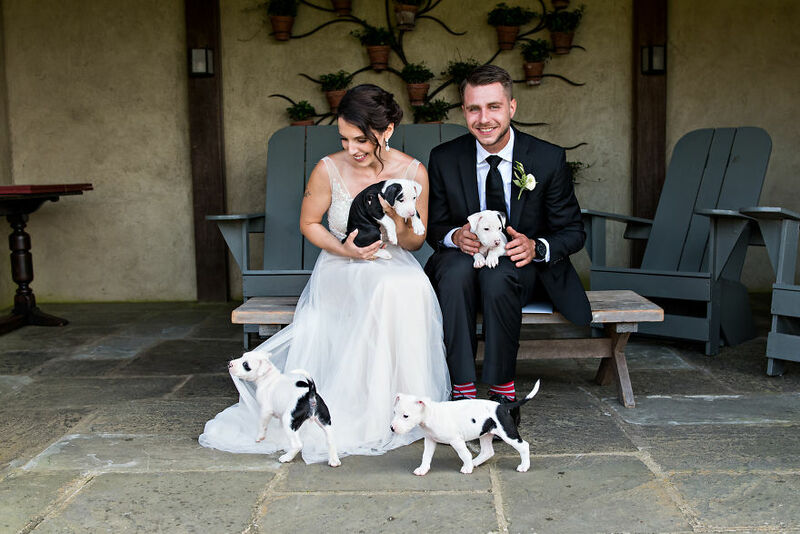 Becky and John were able to foster all of the puppies right up until they found their forever homes. 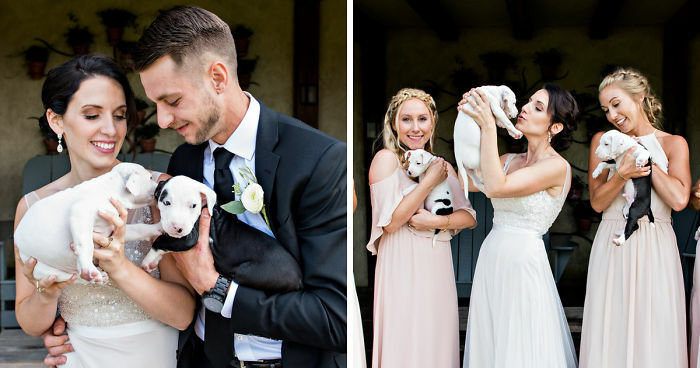 Including the rescue puppies in their big day was a no-brainer. 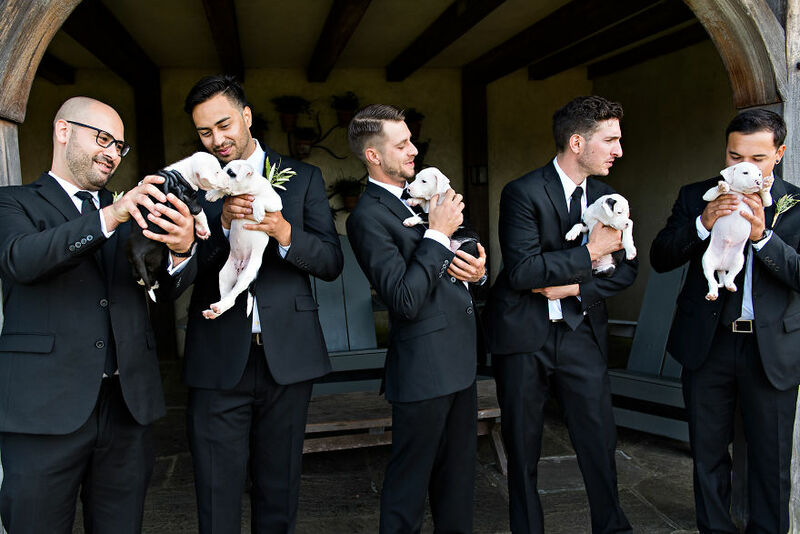 Who needs bouquets when you can have rescue puppies?! 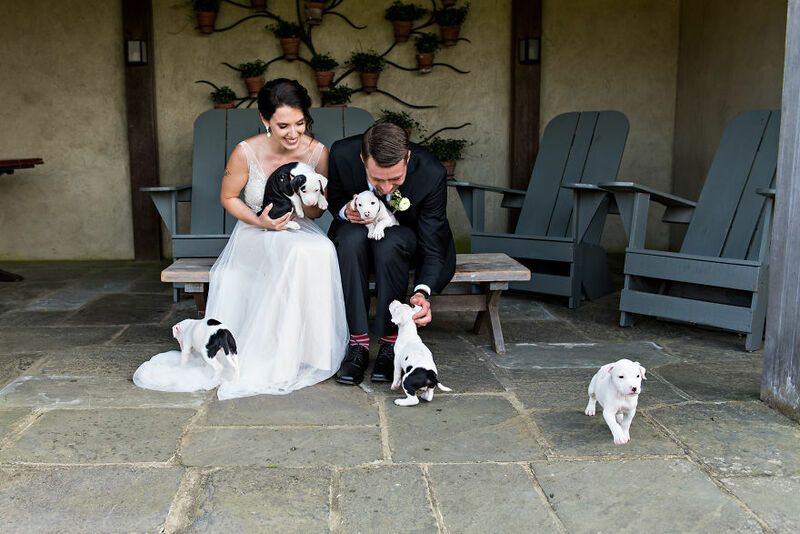 All of the puppies went to great homes shortly after Becky and John’s wedding day. Families who were interested in adopting the puppies submitted applications and references including a reference from their veterinarian. 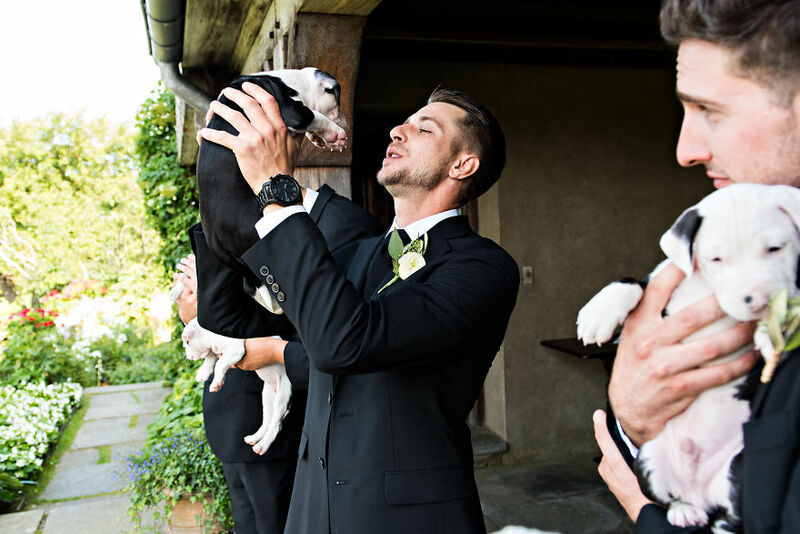 Patch, who is now named Mo, found a home with John’s aunt, so they are still able to visit with him. 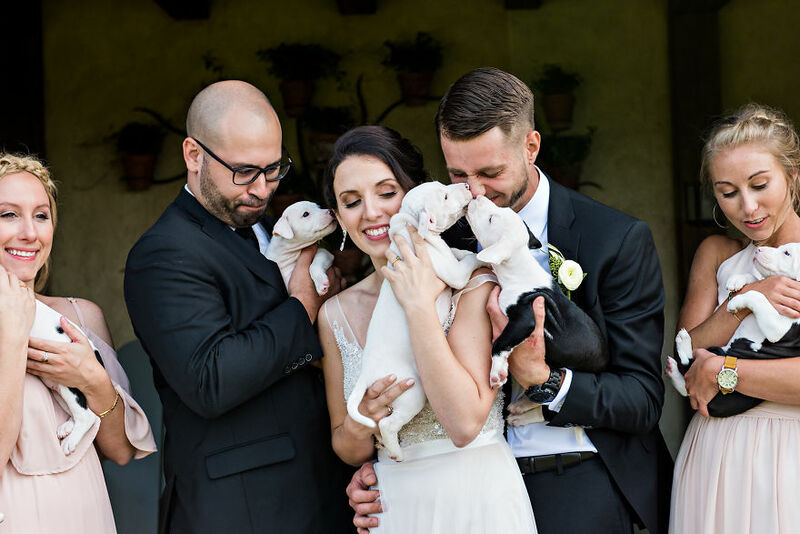 Becky believes all of the incessant puppy cuddlings they did while fostering them turned them all into great dogs.